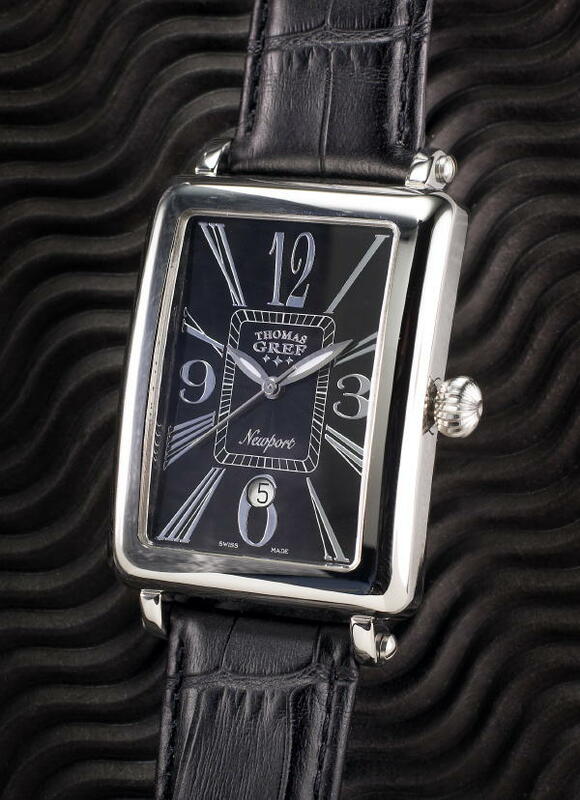 The Newport makes a dramatic presence on the wrist with its 52 mm by 32 mm case of mirror polished stainless steel. 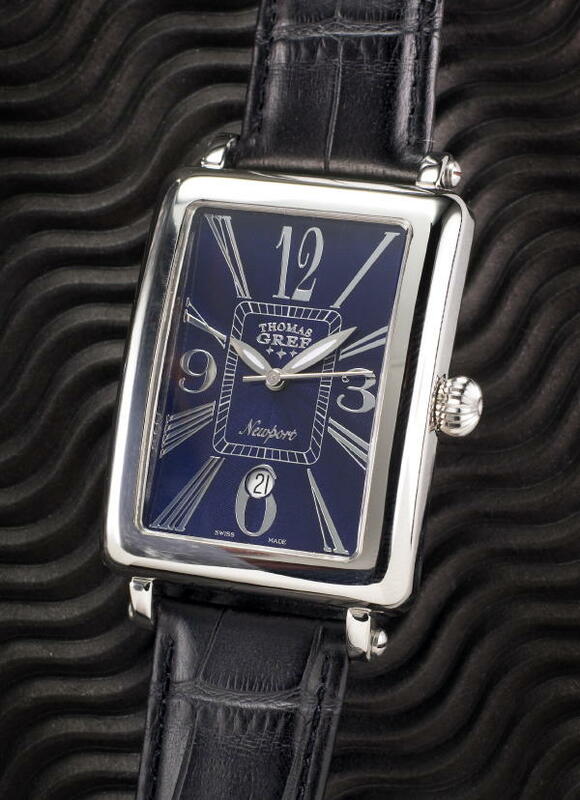 The curved crystal is hardened mineral glass and the watch has a mineral glass display back. The watch measures 10.3 mm thick and uses a 20 mm strap. 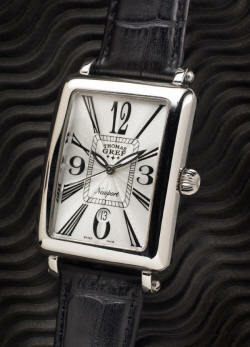 The strap is hand-made in Germany of fine Italian alligator grained calfskin. The dial uses a unique combination of roman and arabic numerals, with a date window at 6 o'clock. 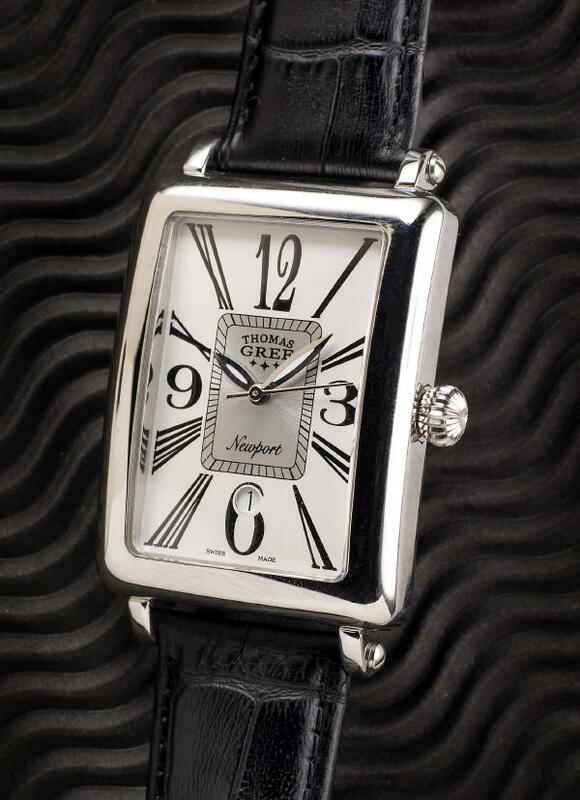 The Newport is available in four different dial colors. The automatic movement is a Swiss-made ETA 2824-2, which features 25 jewels, 28,800 BPH (beats per hour), hacking, and a quickset date. 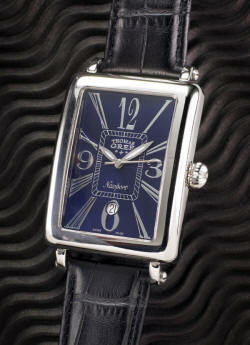 This particular movement is one of the highest grades of the ETA 2824-2 . 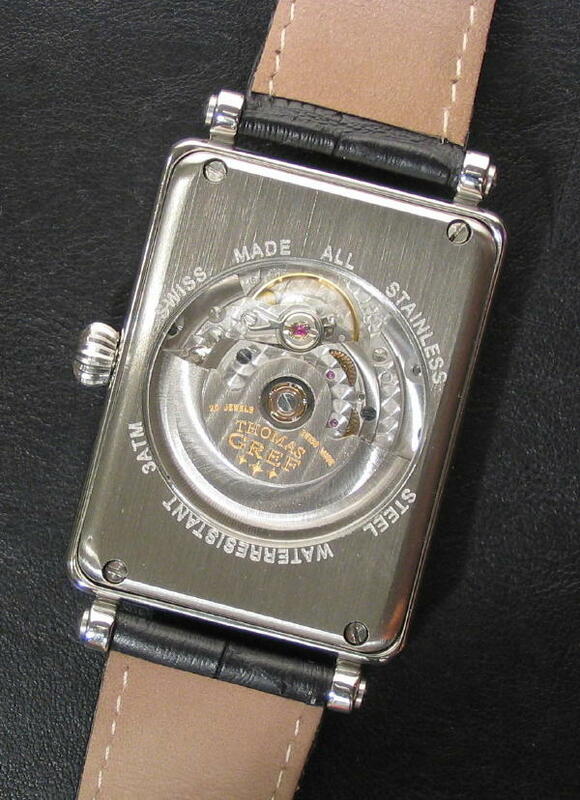 The movement has a durable rhodium finish and is highly decorated with perlage on the main plates, and geneva stripes on the rotor. The power reserve is 40 hours. To learn more about this movement, click here to see the 'Movement' page. These watches carry a one-year warranty. 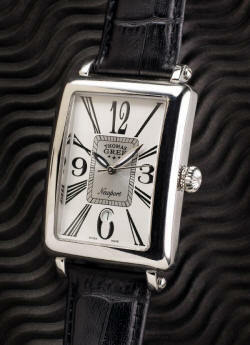 All Thomas Gref watches come with a 5 day money back guarantee. To place an order, please call 520-818-3382. PayPal, Visa, and MasterCard accepted. Add $15 for shipping via Insured Priority US Mail. Because many people are interested in how watches are designed and produced, I wrote the following article which describes how I created the Oceanic dive watch. Follow the link below to read this article.